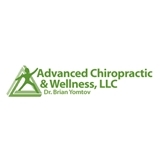 Advanced Chiropractic & Wellness, LLC (Stamford) - Book Appointment Online! At Advanced Chiropractic & Wellness, LLC we provide professional guidance with advanced, efficient, and cost effective healthcare. Many of our patients initially come into the office for pain relief but continue with care to achieve their full health potential. Every patient’s journey for better health is unique therefore we provide individualized attention . Advanced Chiropractic and Wellness is specially designed to provide a comfortable, stress-free environment. Brian has been my doctor for over 10 years. He is kind thougtful & compassionate & always is ready to listen. Highly recommend him without reservation.